Please can you tell me a bit about yourself and the kids? I’m Anna, a muralist and colour consultant and I have two kids, Rufus who's 6 and Scarlett who’s 4. We live in Battersea in a renovated mid century house. How would you describe your style when it comes to interiors? My style is quite eclectic really. I love to play with pattern and colour and to use a mix of both old and new furniture and accessories, but I don’t like anything that’s too fussy. What was your inspiration for your kids’ room? We used to live in the Bahamas, where Rufus was born and where I became pregnant with Scarlett. The rough exposed beams are quite typical of beach bars there, so we decided to embrace that feeling with a palette of coral, white and aqua and motifs- palm trees, leaves and a scalloped half walls which are reminiscent of some of the Loyalist cottages you can find in the islands. What do Rufus and Scarlett love most about their room? All the space! It used to be the master bedroom and bathroom but we knocked through to make one big playroom and shared bedroom. They’re very lucky to have the biggest bedroom and it’s fantastic to have all their toys in there too. Could you share any advice for designing a shared kids room? I would try to allocate the same amount of storage space for each child so they feel equal and it’s ‘fair’. It’s also a good idea to have some display space high up that younger siblings can’t reach and ‘sabotage’. My son is really into Lego so we have a display of it on top of his wardrobe which his sister can’t get to! She has some of her toys that she doesn’t really want him to play with above her wardrobe too. What would you say to someone who’s hesitant about using bolder colours? I would say that adding colour with bedding, cushions and blankets is a great place to start. However, to really change the feel of a room you need to add colour to the walls. A kid’s bedroom is a great place to experiment with bolder shades that you might be hesitant to use elsewhere in the house and it’s very rewarding when you do! Where are your fave places for great kids’ decor? I love HoneyRocks London for their gorgeous homewares- rugs, baskets, peacock chairs and cushions, Ferm Living has great lighting and textiles. I have to say that I also love Zara and H+M - they have on trend sweet accessories that are very affordable. Thank you so much Anna for allowing me to share Rufus and Scarlett’s room. Continuing my series of blog posts showcasing rooms designed by talented mums and dads, I’m delighted to share baby Neve’s nursery with you. This precious Scandi-inspired room was designed by her clever mummy Ruth. What I love most is that Ruth has expertly designed a room for Neve that complements the rest of their home, without compromising on her own style and tastes. She has cleverly picked up on colours used throughout their home so that this beautiful room fits seamlessly, and she has designed a room that takes into account her own needs as well as Neve’s, something that parents often naively overlook, for example a comfortable chair to nurse in, a day bed for sleepless nights, and finer details like hanging a mobile over the changing table to keep Neve entertained. If you love Ruth’s style as much as I do, you can see more of their beautiful home over on Instagram. Please introduce yourself and tell me a bit more about your family? I'm Ruth and I live in Twickenham with my husband Alex and our 8-month-old baby girl, Neve. I'm currently on mat leave from Disney, where I've worked in various marketing roles for pretty much my whole career. Working for Disney is a dream job, but nothing beats being a mum! This year has also given me some extra time to focus on the house, and decorating Neve's room in particular has been the highlight! ﻿How would you describe your home interiors style? I'm obsessed with Scandinavian design! I love the simplicity and practicality of Scandi interiors. I have a busy mind but have found over the years that bright, simple surroundings make me feel more relaxed and calm. I also seem to be on a mission to use every shade of Farrow & Ball grey paint in our home! 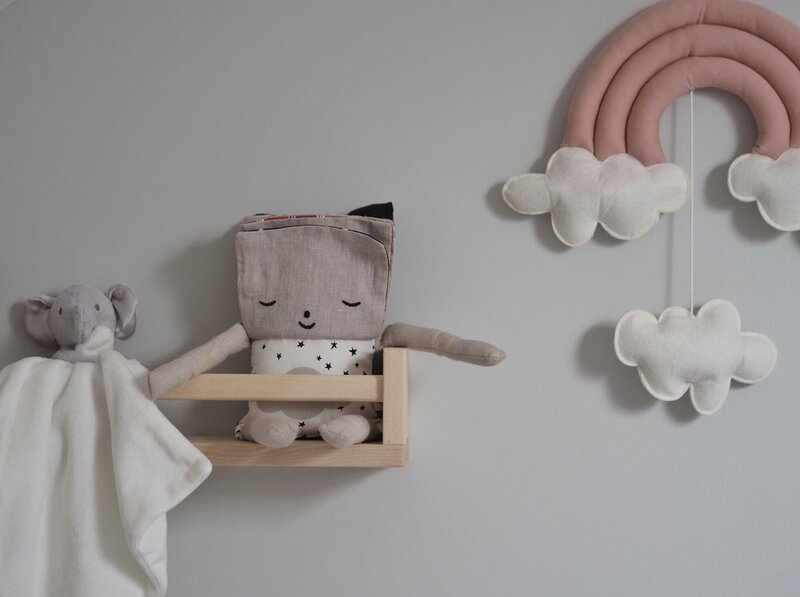 For Neve's nursery, I chose Dimpse as it's a delicate cool grey that made the room feel really light and happy. It wasn't my first choice though! I'd originally gone for warmer greys as I thought they'd be quite cosy, but once they were on the wall they just didn't feel right for a baby girl's nursery. It's so important to invest in tester pots!! What was your starting point when planning Neve’s room? The furniture - I found the Oliver Furniture cot bed when I was scouring Pinterest and completely fell in love with it! It was quite expensive so I spent hours looking for something similar but nothing compared! Plus, the room is located in the eves and an awkward shape so I needed quite a low wardrobe and Oliver Furniture had a gorgeous matching cupboard that was a perfect fit for the space. The furniture was definitely an investment, but it's incredibly solid and well-made and will last a very long time (until she's around 9!). I then pulled together a mood board with some key accessories I found, along with my preferred colour scheme and it went from there! What do you love most about Neve’s room? We also invested in a quality nursing chair and footstool from Olli Ella. It's probably my favourite thing in Neve's room. It really supports my back and makes feeding so comfortable, which has helped us have some really important bonding time over the last few months. ﻿What does Neve love most about her room? Her rainbow and swan mobiles! From the day she was born, we've had her musical rainbow mobile above her changing mat and she literally smiles and giggles every time we pull the cord! It's made changing time a joy as opposed to a chore. She also loves watching the swans dance above her in her cot. One of the things I love most about Neve’s room is that you’ve planned a room that will last and chosen furniture that will grow with her. Do you anticipate making any changes as she gets older? We currently have a day bed in the room so when Neve's cot needs to extend we will remove that and replace with her longer cotbed. At that point I'd love to create a cosy reading corner with a canopy or teepee and loads of cushions. What advice would you give to other new mums when planning their baby’s first nursery? Take your time and invest in a good nursing chair! We bought the basic furniture and a few accessories, but the majority of accessories and artwork has come over time as I started to learn about Neve's personality. I'm still constantly adding bits now and I love it! Pinterest's great for inspiration but Instagram is also amazing! Could you please share some of your favourite brands for decorating a baby’s room? My go-to websites are The Modern Nursery, Scandiborn and Kidly. 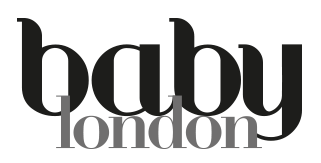 I also love Oliver Furniture for furniture; Olli Ella for nursing chairs and other cute accessories; Cam Cam Copenhagen for beautiful and really good quality accessories - from mobiles and cushions to muslins and changing mats; and Mrs Mighetto for stunning limited-edition prints. Continuing my series of blog posts celebrating rooms designed by creative mums and dads, I'm delighted to share two really unique girls' rooms on the blog both designed by their talented mum Helen, wonderfully showcasing how heritage pieces such as old school desks and chairs and other unique pieces can work beautifully alongside more contemporary design. Tell me more about your family and the business? We are Helen and John Shaw and we live in a small village called Ewhurst in the Surrey Hills with our two daughters Edith (7) and Maggie (5). Just over four years ago, we started our business Blue Ticking which is an interiors brand specialising in restoring and celebrating heritage pieces. We sell unique, individual, heritage pieces such as desks, chairs and storage, but also have a range of more contemporary products including peg boards and prints by brands including Wonder & Rah, Ingrid Petrie and Gayle Mansfield. What prompted the redecoration of your girls' rooms? We recently converted our loft to gain a new en-suite master bedroom, which also required us to update all of the ceilings on the floor below to bring them up to required fire safety standards. This meant that those bedrooms also needed redecorating, so we took the opportunity to move Maggie into our old bedroom and redecorate both of the girls' rooms. Where did you get your ideas and inspiration for the girls' rooms? Whilst planning our loft conversion I spent a lot of time on Pinterest and I also use Instagram a lot for our business. I became drawn to the dark side and knew I wanted to do something quite dramatic with one of the girls' rooms. I found an image on Pinterest that had dark blue walls with pops of neon pink and this gave me the idea for Edith's room to go for Farrow & Ball Stiffkey Blue on the walls, with the pink wall stickers around her bed. Edith has recently developed a passion for reading but she didn't really have anywhere to sit and read, so I created a book corner in her room with shelves made by husband John (the other half of Blue Ticking) to display all her books, and a Love Frankie beanbag. Both the girls love spending time there flicking through their favourite books. With Maggie's room, I knew I wanted to use a half-wall painted effect but wasn't too sure on colours. I didn't want it to be too young for her and in the end I chose Farrow and Ball Green-Blue which is a lovely soft warm colour and perfect in her south-facing room. I knew I wanted to use the Ham Rabbit wall sticker in her room and the half-painted wall is a perfect backdrop for it. We already had most of their furniture so didn't change too much, but added lots of storage and places for them both to display their trinkets and treasures in a fun and stylish way. Do you have any tips for toy storage throughout the home? Storage is so important, our home isn't minimal but everything has its place and it's important to me to tidy everything away at the end of the day. We use concealed storage such as our Blue Ticking "Maggie" stools, vintage enamel pots with bespoke ticking seating pads, to hide away toys we don't particularly want to be looking at. Edith has one in her room for her Barbie dolls and we also use one in the kitchen for their hats, scarves and gloves. We use fun, colourful wire baskets, pegs and wall shelves to maximise storage. Toy storage needs to be practical and it's got to work so they can access the things they want to play with, but also know where to tidy them at the end of the day. Both Edith and Maggie also have little boxes for all their special things. We absolutely love our Maggie stool, we use ours to store all the kids' shoes and it also doubles up as our naughty step! How does Edith feel about the fact her little sister has a product named after her? She's really not very happy about it! She reminds me nearly every day that I still need to name something after her and I do feel guilty but it has to be the right product, it's definitely on my to-do list! How did your collaboration with Gayle Mansfield come about? I'm a big fan of Gayle's work, and I wanted to add some individual prints to our shop that reflected things our girls say all the time, and that would also resonate with our customers and fit with Gayle's brand too. We went with "Treats" and "It wasn't me" as they're favourite phrases in our house. How do you achieve the right balance of modern and vintage in a kids' bedroom? My advice would be to not overthink it. If I love something, I go for it. I would suggest choosing 2-3 statement heritage pieces, for example a school desk and chair and maybe a chest of drawers and then adding more modern bed linen and prints on the walls and build it up from there until you're happy with it. I am forever changing things around in the girls' rooms, adding new prints and moving things. We need new carpets, and Maggie's room still hasn't got any curtains. She also needs a bigger desk now but that's the beauty of kids' rooms you can change them up as they grow older. Which are your favourite brands for kids decor? One of my favourites is Love Frankie for bedding, cushions and Edith has a bean bag from there too. I also love This Modern Life and both of the girls have a shelf in their rooms from Molly Meg. Thank you so much to Helen for allowing me to share Edith and Maggie's rooms. I'm often asked where my inspiration for kids' room design comes from, and increasingly it's from social media, particularly Pinterest and Instagram. I spend many hours looking at rooms from all around the world many of which are designed and decorated by talented mums and dads who want to create a magical space for their kids to enjoy and to create lasting memories of their childhood. 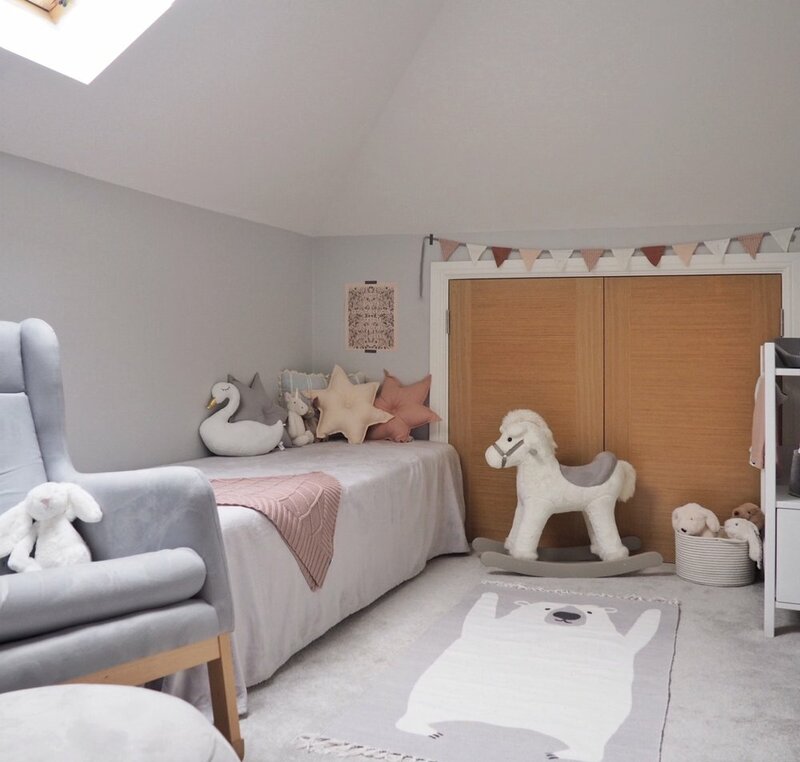 This sparked an idea for a series of blogs in which I want to showcase some of these rooms and hopefully give you all some ideas, inspiration and the confidence to create something special for your own little ones. Tell me a bit about yourself and the girls? I'm Kelly and I run my business Lala Loves Decor from my home in Brighton. I have twin girls who are 5 and a half, Delilah and Orla, aka the lala girls as both of their names end in a 'la' sound. They are the constant source of inspiration for my brand, they have to try out everything in their room first, saying 'one each please Mama'! I love so many different styles but I try not to jump on trends and remind myself what interior style makes me feel happy, and what suits our family home. I'm definitely influenced by Scandinavian design, but with a bit of a boho vibe and some vintage finds thrown in! I always come back to light rooms and muted pastels. What was your starting point and inspiration for the girls’ room? The bunk bed from made.com was the starting point, that was the first purchase, I love the mix of white with natural wood and the simple Scandi influenced design. I became obsessed with Pinterest and created a mood board to really hone down the look of the room. I wanted to include lots of Instagram small business finds in their room because there are so many amazing brands out there: Wonder and Rah, Never Perfect Studio, Ella and the Roo, Velveteen Babies, and Marjorie Minnie are some of my favourites. Instagram and Pinterest were the biggest source of inspiration for the look of the room. The more I looked at other kids' rooms the more I realised I loved Scandinavian design and vintage finds, and decided to merge the two looks. What was on the girls’ wish lists for their new room and do they have similar taste? They really wanted a canopy which I managed to squeeze into the corner and they were very excited about the bunk beds! They also requested a gold flower mirror from my shop. They have very similar tastes but they also try and be different from each other, they'll often like the same things but will choose a different colour. What do they love most about their room? The canopy area. I've added fairy lights and cushions, it's an enchanting space for them to play fairies and read stories. How did you decide who has the top and bottom bunks? They argued at first so we did a trial, they had a week each on the top and then swapped. Delilah always wanted the top but after the first swap Orla wasn't bothered and wanted the bottom, we call it the cosy cave to sound more appealing! Do you have any advice for anyone about to decorate a shared bedroom? Work out what kind of bed will suit the space and the children first. If the girls bedroom had been big enough, I probably would have bought two single beds instead of bunk beds as I was concerned about them fighting over the top bunk. Luckily for me, they have been fine and they love the bunk bed and climb in each others bed in the morning! After the bed(s) have been chosen, work out what furniture you would like and where you think it will go. I measured areas in their room and used masking tape on the floor to get a sense of space. I also recommend creating some kind of mood board because it really helps to see how the room will come together.